Sprint will start taking pre-orders on April 12 for the LG Viper, the first LG device that will be available with an unlimited data plan on Sprint’s 4G LTE network. The LG Viper will be available for $99, and will come with truly unlimited 4G LTE service, Sprint confirmed to TechHog. According to Sprint, "Pairing innovative technology with the Sprint 4G LTE network and unlimited data plans, LG Viper 4G LTE helps manage work and personal time for people on the go, like today's 'Power Parents.' "
The company’s vice president of product development said the LG Viper "pairs perfectly with our unlimited data plans to bring customers the benefit of new technology, including our upcoming 4G LTE capabilities at a great price." None of the other major wireless carriers currently offer unlimited data plans on 3G or 4G LTE networks. However, some old customers have been grandfathered in on unlimited plans, but those customers only have the illusion of "unlimited data" -- after they reach a certain data limit, their plans are throttled, or slowed back. For example, "unlimited" users on AT&T's network get slower network speeds after they hit 3GB of data (if they're on a 3G/4G HSPA+ phone), or after 5GB of data (if they're on a 4G LTE phone). Verizon starts throttling "unlimited" 3G/4G HSPA+ users after just 2GB of data usage, though it only does this when the network is congested. Verizon does not currently throttle 4G LTE users, though it reserves the right to do so in the future. Throttling only occurs if users have "unlimited" plans; users with tiered plans are not affected. 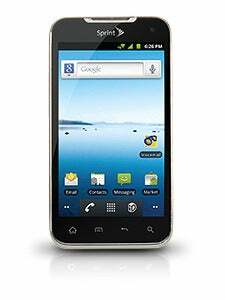 The LG Viper 4G LTE is an "eco-friendly" phone; its case is made of 50 percent recycled plastics. It will ship with a dual-core processor, 1GB of RAM, and Android 2.3 (Gingerbread). The phone has a 5MP rear-facing camera, a VGA front-facing camera, NFC technology, and supports up to 32GB of expandable memory via microSD card (the phone ships with a 4GB microSD card). There's no word yet on when it will hit store shelves.